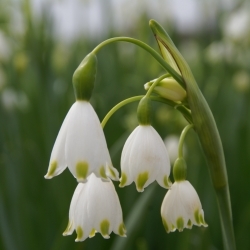 Summer snowflake or Loddon lily, pending bell-shaped flowers, white with green dots. 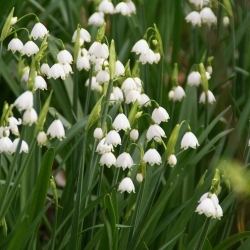 The bulbous flower resembles the well-known snowflake. 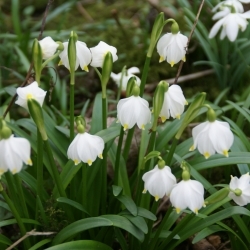 But is larger and flowers in April-May.